That’s it. Want nothing. Choose what shows up instead. This is the very essence of zen. It is what is meant by the “surrendered state“. Do this, and persist in it long enough, and you will find some incredible things unfolding in your reality, very likely including those that you formerly really, really wanted. The irony? It won’t matter, because you don’t want them anymore! You’ll surely enjoy them while they last, but the terrible need you had for them to give you fulfilment is gone, and you could honestly care less if they showed up or not. Can you think of a more pure definition of freedom? Quote by Sonia Ricotti via Google Images. We want freedom for our country but not at the expense or exploitation of others, not so as to degrade other countries. I do not want the freedom of India if it means the extinction of England or the disappearance of Englishmen. I want the freedom of my country so other countries may learn something from my free country, so the resources of my country might be utilized for the benefit of mankind. Just as the cult of patriotism teaches us today that the individual has to die for the family, the family has to die for the village, the village for the district, the district for the province and the province for the country, even so a country has to be free in order that it may die if necessary for the benefit of the world. My love, therefore, of nationalism or my idea of nationalism is that my country may become free, that if need be the whole country may die so the human race may live. There is no room for race-hatred there. Let that be our nationalism. 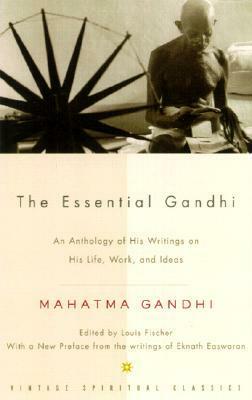 The journey of Mohandas Karamchand Gandhi to Mahatma Gandhi was highly challenging. 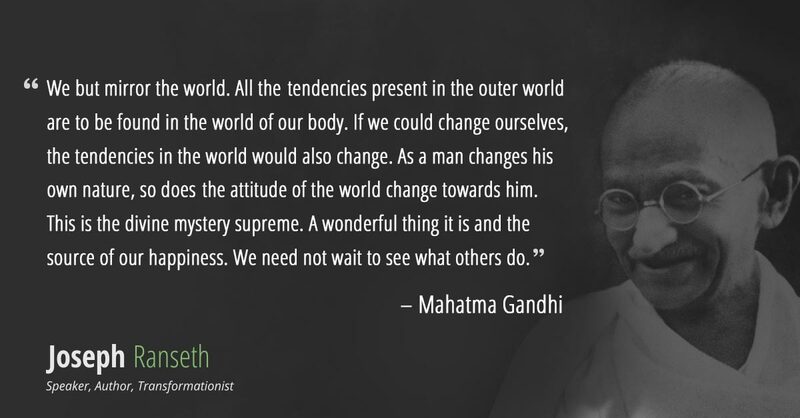 During the course of his life, Gandhi sought to resolve the constant plaguing of self-doubt helped him put his truths and beliefs through tough tests of realities that helped him see an issue from different dimensions and perspectives.The ‘take away’ factors from his life are many. And the more one reads him, the lessons from his life increase with the number of interpretations you can make from the text. 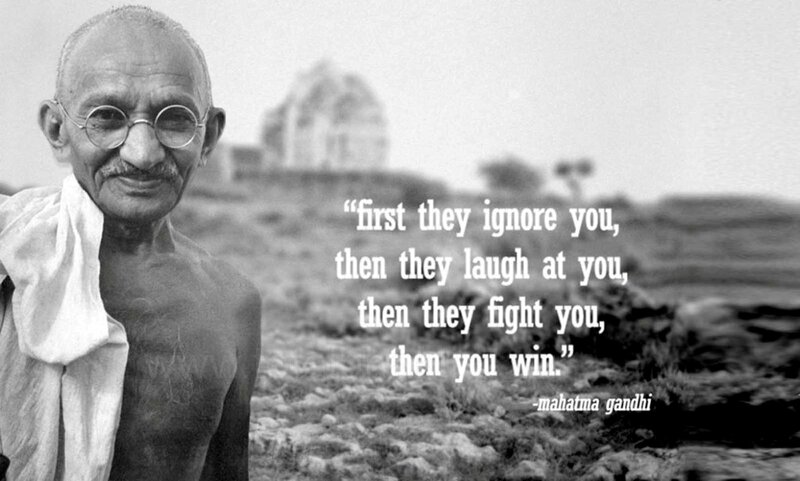 Read between the lines, if you must, when you read Gandhi and the essence of his life (and ours, too) increases by manifold to the reader.